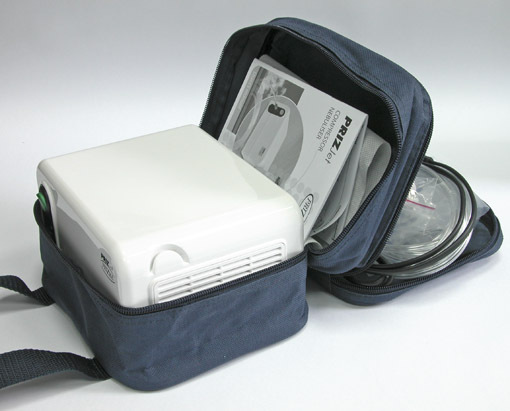 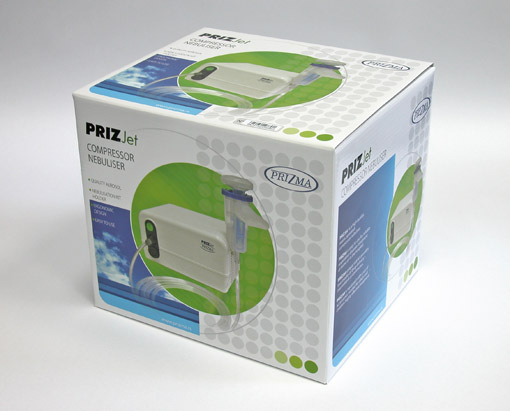 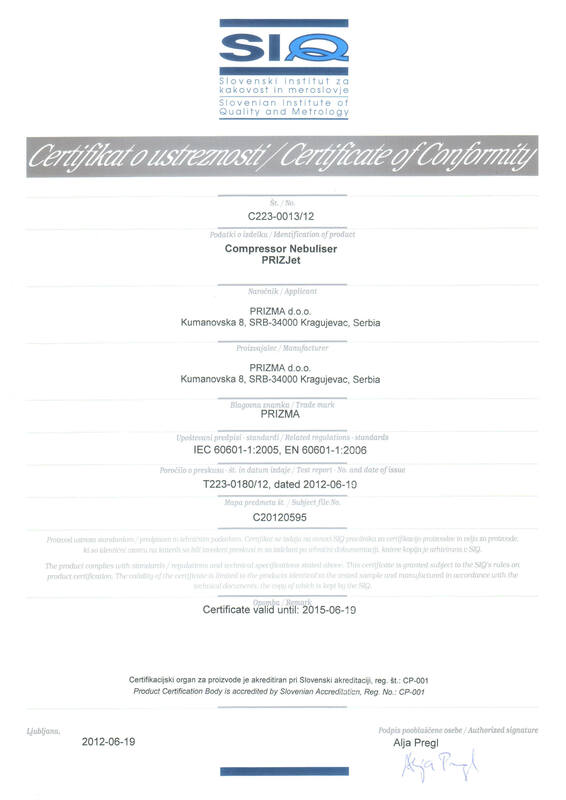 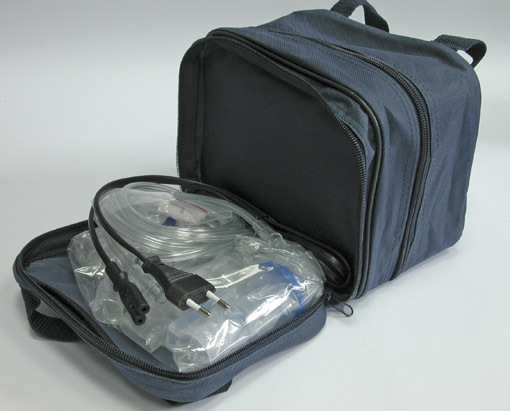 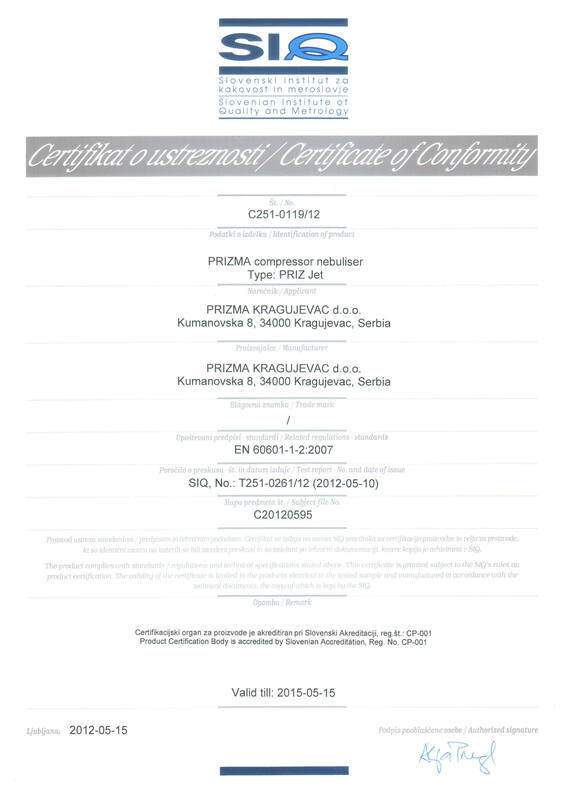 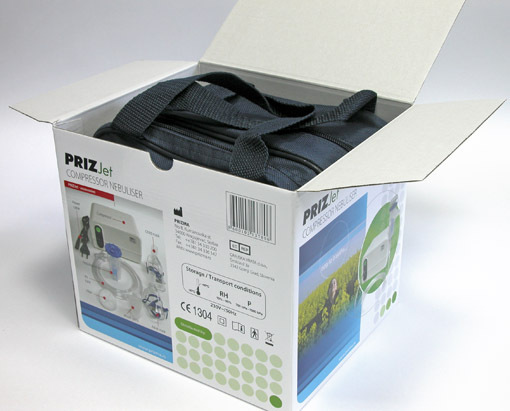 The PRIZ Jet is a high quality, mains operated compressor nebulizer. 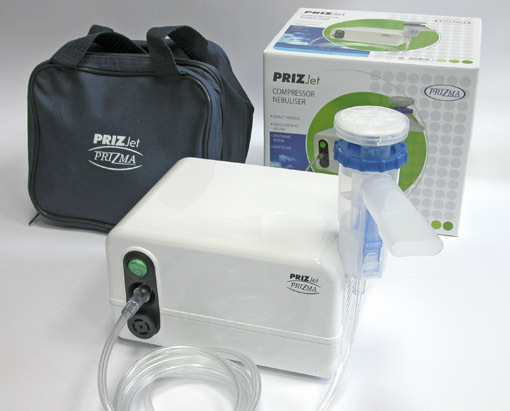 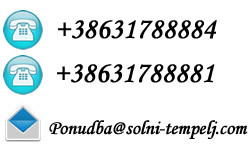 It is easy to use for reliable respiratory disorder treatment at home or in the hospital. 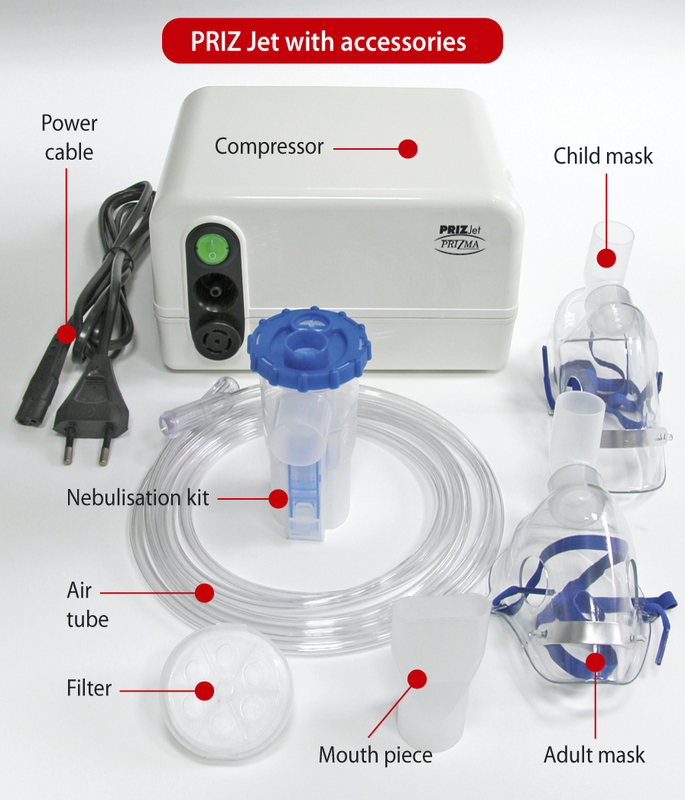 Unique neb kit provides two modes of drug delivery – intermittent or continuous. 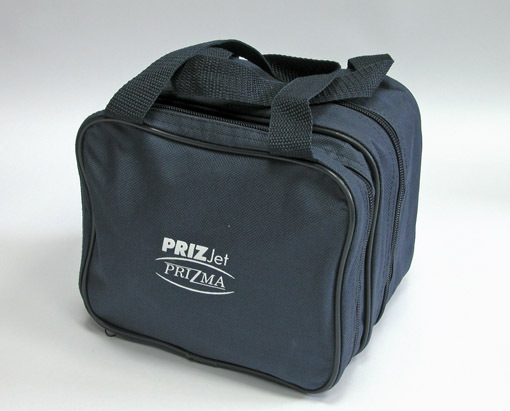 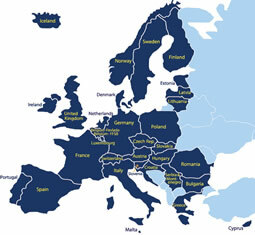 The PRIZ Jet is equipped with a set of accessories needed for adult and children highly effective treatment.